Now feeling a need to watch Roger Rabbit again. Shave and a haircut - two bits!! That door knocker is one of the coolest steampunk devices I've ever seen. Form *and* function = ♥. Since you're on a steampunk theme, I thought you'd enjoy this link I found this morning. Maybe you can use it for an upcoming anniversary! OH! I want that house. And everything in it, including the dog bowls. Thanks for sharing these amazing finds! I have to say, I saw this online today and immediately thought of you! Quite appropriate with today's steam punk theme! I hope you enjoy it as much as I did. Jessica R. beat me to my comment. That jewelery is GORGEOUS I WANT TO BUY IT ALL! Procrastination Station? Can I be your protege? Pleeeeeease?! if you haven't seen this yet, you should. So love your blog. It makes me glad to be girly, geeky and crafty. It has also opened me up to steampunk... so glad I am in the midst of decorating my house. You are a mean mean MEAN person! My life was happy and full of just scifi. I loved my scifi. Life was simple with just scifi. Now, now you have shown me steampunk.........and i am obsessed. Can't get enough of it. *swoon* I adore how awesome it all is. I think I will call it Gothic SciFi. This was I can trick my brain into thinking it is just plain old scifi and my friends won't roll their eyes because i've found another thing to adore. Awesome. 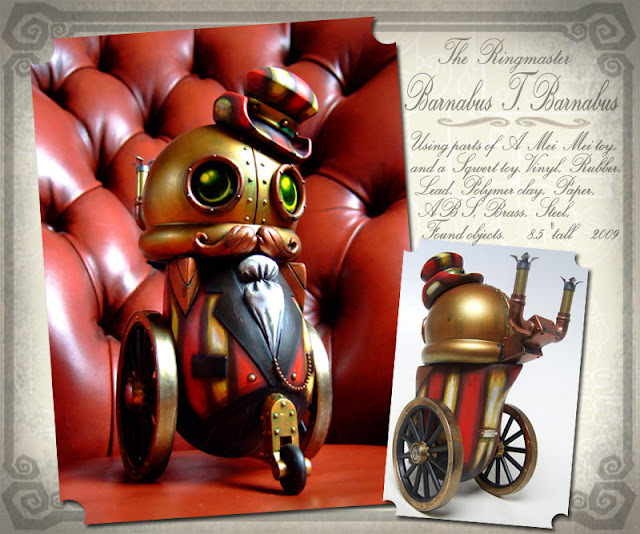 I had never heard of steampunk before this blog and now I am getting quickly obsessed. 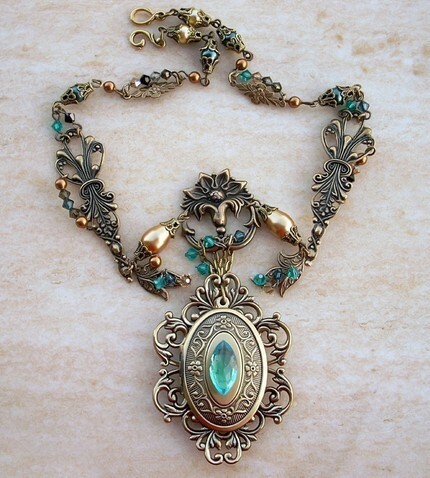 I am going to try and make some steampunk jewelry. Thanks for your blogs! They definitely inspire me! 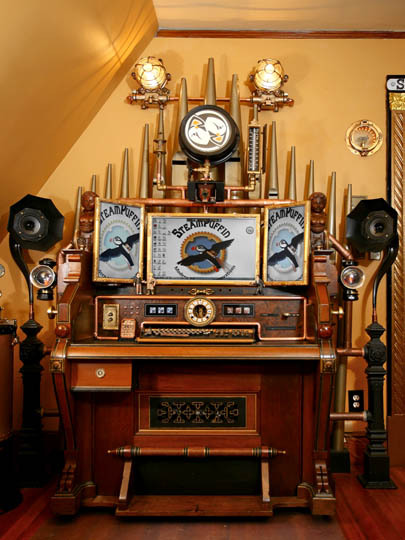 OMG, if I ever win the lottery, I MUST have a steampunk house! You will be pleased to note that for NaNoWriMo this year I will be undertaking a steampunk mystery-- I'm thinking steampunk-y Sherlock Holmes mixed with Doctor Who. It's going to be AWESOME. I'll let you know how November goes. Another procrastination idea for you: www.randalspangler.com. My husband got one of his prints for me right after we got married, and soon after that we moved from MA to Kansas. He had a booth at the local Renaissance Festival, we got on his mailing list, and eventually got to meet him at an art show. His work features the cutesy little dragons ever, and we have lives tucked all over our house. Not steampunk, but definitely procrastinatable. I love your blog and thought of you when I found this web comic. Smart and funny, and totally steampunk! You might want to check out the old Myst series of games. They had such a steampunk feeling. They have some other great stuff at that site too! My sentimental favorite in the steampunk house is the little model of the time machine. I must have watched that movie half a dozen times as a kid, and at least a few more as an adult. Yikes! 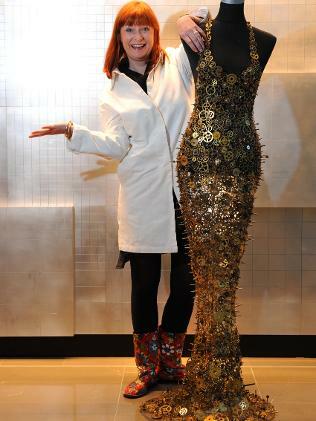 That's definitely a "look but don't touch" kind of dress. You wouldn't be able to hug anyone, because all the spikes would poke you. Or sit down, for that matter. Oh well, if you're that beautiful, you don't need to sit down, right? I saw this this morning and immediately thought you'd get a kick out of it! 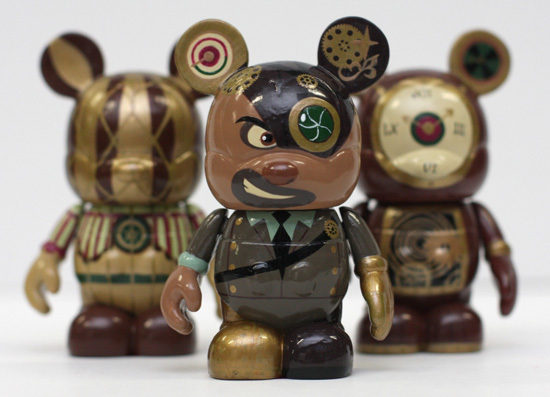 Much as I hate to inflate his ego even more, his stuff is AMAZING. Didn't realize it until a freind pointed it out, but that steampunk house is not far from me. A couple of towns over. 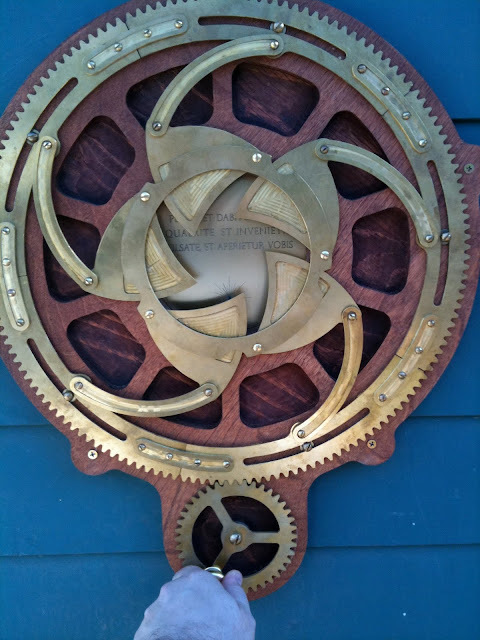 here's a little something I thought might inspire you, steampunk-wise. I know I want to make one. Not my creation, but I wish it was. Hey Jen, I don't know if you've got any Archiver's scrap booking stores in your neck of the woods, but I was at one last night and they have a HUGE collection of steampunk-related papers, card stock, findings (metal cogs, gears, typewriter keys with sticky stuff on the back for easy mounting, ribbons, etc), and such. I thought of you right away! They also have some lovely steampunk-esque vintage Alice in Wonderland stuff too, looking both creepy and vintagey at the same time. You could make s ton of steampunk greeting cards/photo albums!